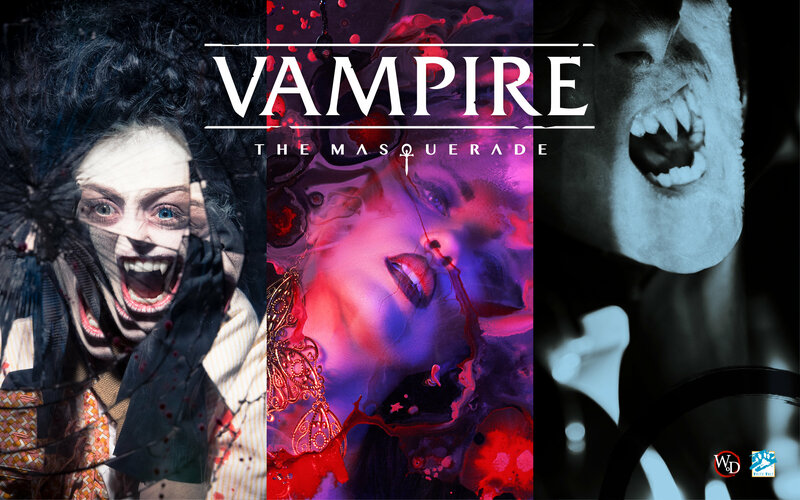 Gaming Network Geek & Sundry will host their first live-streamed play session of Vampire: The Masquerade 5th Edition (V5) — the newest entry in White Wolf Entertainment’s iconic tabletop roleplaying series. The Vampire: The Masquerade – L.A. By Night live play series will consist of eight weekly episodes, streamed Fridays at 8:00 PM PDT, culminating in a final episode on November 2. Jason Carl, White Wolf’s Head of Community — whose work previously included designing adventures and supplements for Dungeons and Dragons, Vampire: The Masquerade – Mind’s Eye Theatre, and other RPG titles — will guide play sessions as the storyteller (Vampire’s “Dungeon Master”). Geek & Sundry viewers will be transported into a nocturnal world rich with danger, intrigue, and political machinations, as the creatures of the night battle (or bargain) for supremacy in modern Los Angeles. The Vampire: The Masquerade – L.A. By Night chronicle follows after the events of the Vampire: The Masquerade – Bloodlines video game, in which the Camarilla clan failed to install a new Prince of Los Angeles. Since then, they never stopped their attempts to reclaim the city as their own. Another player in the power struggle is clan Ventrue; led by Vannevar Thomas, who has declared himself Los Angeles’ new Prince. Blood, politics, and betrayal sit at the foundation of the City of Angels. The cast of Geek & Sundry’s Vampire: The Masquerade – L.A. By Night live show includes Erika Ishii (as Annabelle), Cynthia Marie (as Nelli G), B. Dave Walters (as Victor Temple), and Alexander Ward (as Jasper Heartwood). Each player will represent a different character from a different clan — each with their own motives and moral drivers. Carl and the players have already created a backstory for each character in the game; each with their own beliefs, ambitions, and secrets. The story also includes vital NPCs to help enrich the game world; drawn from the rich lore of the World of Darkness.